A very weak seal pup abandoned by the mum the same day it was born. Sometimes we see raptors kill a smaller bird or that weak birds or seals are abandoned by there mothers. Without a thought, we use to call this ‘cruel’. We consider saving a fly or beetle from the spider’s net or if we should save a little tern from being eaten by the peregrine. This shows compassion but also a non-natural attitude. It’s quite difficult for us people not to anthropomorphosize nature. We have a tendency to attach humanness to everything we see. Öfter sehen wir Raubvögel kleinere Vögel schlagen oder wie schwache Vögel oder Robben von ihren Mütter verstoßen werden. Ohne darüber nachzudenken, neigen wir dazu, dies als ‘grausam’ zu bezeichnen. Wir überlegen uns, ob wir Fliege oder Käfer aus dem Spinnennetz retten oder kleine Seeschwalben vor dem Falken beschützen sollen. Das zeugt einesteils vom Mitgefühl, auf der anderen Seite zeigt es eine naturfremde Haltung. Allerdings ist es für uns Menschen schwierig, die Natur nicht unnatürlich zu vermenschlichen. 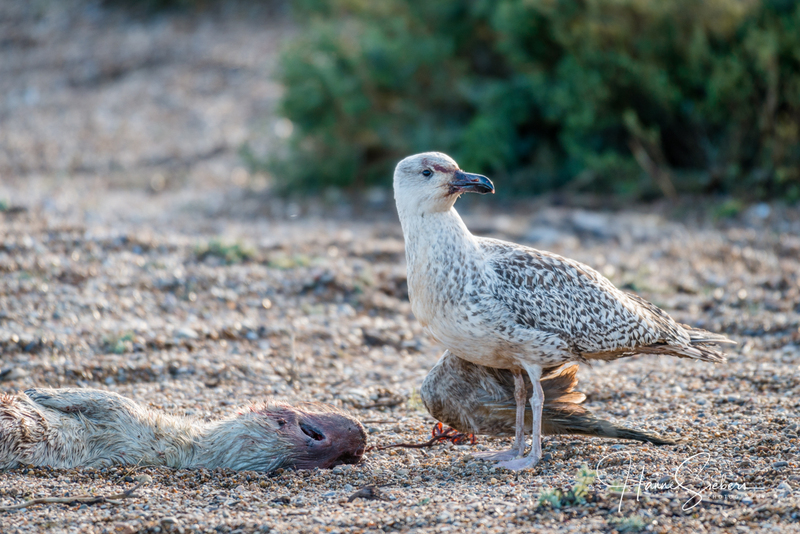 The Circle of Life: The Great Black Backed Gull with a broken wing, picking on a dead pup. The monstrous Gull often goes for the newborn pups and will be often bitten by the cow or the bull, hence the broken wing. This Gull died a week later, totally infected by the seal bite. The amount of germs in a seals mouth is massive and should you ever get bitten by a seal, make sure you get to the nearest hospital immediately. ‘Cruelty’ is a moral concept. It’s a merciless attitude if we subdue nature human evaluations. This mental imperialism is wrong. Nature is based on evolution that means on biological laws. It is running an optimization algorithm using biological entities, with genes trying to survive and propagate. It does it quite effectively. Darwin called this “survival of the fittest” what means survival of those who are best adapted to their environment. ‘Grausamkeit’ ist ein moralischer Begriff. Sie ist eine Gefühlshaltung, der eine unbarmherziger Gesinnung zugrunde liegt. Dieser Begriff stammt aus unserer menschlichen Welt. Übertragen wir ihn auf die Natur, könnte man sagen, dass wir in grausamer Weise die Natur den Bewertungen unserer Welt unterwerfen. Dieser geistige Imperialismus ist falsch. Die Natur ist ein Ergebnis der Evolution, also biologischer Gesetze. Sie verläuft nach der Optimierung von Überleben und Fortpflanzung, so dass alles effektiv genutzt und verwertet wird, was an Resourcen zur Verfügung steht. Das meinte Darwin mit dem Überleben der Tüchtigsten, womit er die besten an ihre Umwelt Angepassten bezeichnete. A young Fieldfare on our beach. “Oh dear, how should we deal with nature then?“, Siri 🙂 and 🙂 Selma are asking a bit confused. “Well, we modern people are alienated from nature, aren’t we?” This was the only answer coming into Master’s mind. But what do you think, dear reader? “Wie sollen wir uns denn nun der Natur gegenüber verhalten?”, fragen Siri 🙂 und 🙂 Selma verwirrt. “Naja, der moderne Mensch ist doch wohl eher ein naturentfremdetes Wesen.” Was anderes ist Masterchen dazu nicht eingefallen. Aber was meint ihr denn dazu? 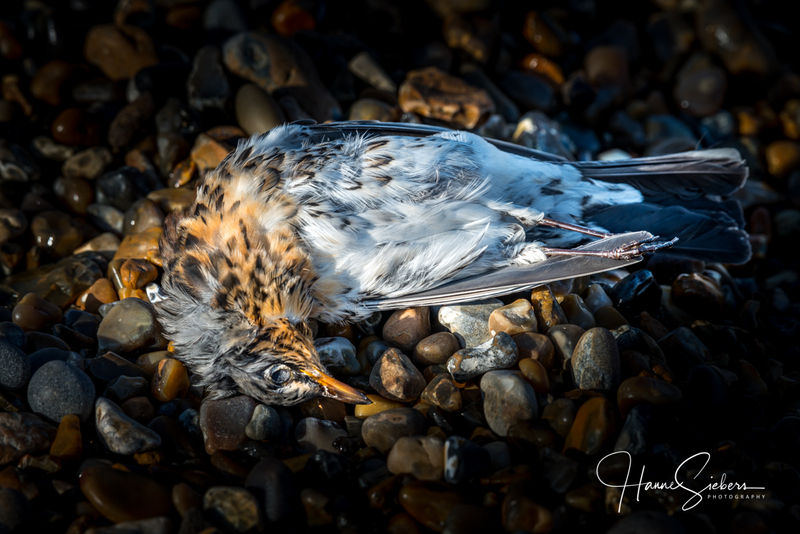 This entry was posted in Norfolk, England and tagged biological law, Birds, evolution, Nature, predators, raptores, Seals, The Circle of life. Bookmark the permalink. There was a BBC documentary about Arctic penguins when the team ‘rescued’ a group of them that had been trapped in a crevice by building a ramp. They were highly criticised by the public for interfering with nature. Very hard not to intervene when you see a few dozen with their chick and you see the solution to their problem. I saw that too and was glad they interfered. Saving a few penguin chicks and their mums isn’t going to collapse the world. We interfere enough by ruining Nature, a bit of assistance seems fair enough to me. unfortunately, we don’t have a TV and therefore didn’t see this documentary. Indeed, it’s hard not to intervene. On the other hand, we project our way of thinking and feeling onto nature. Usually, it was disastrous when people interfered. We have been to the High Arctic. Our motto was not to interfere in whatever we saw there. We don’t know a solution but it is important to think about it. every human interfering with nature is based on our human standpoint. Unfortunately, we seem not to be able to foresee the consequences of interfering in a highly complicated system that Alexander von Humboldt called the network of nature. In the end, everyone has to decide individually how to act. Of course, one can only react in a responsible way if one has thought about this problem before. Spontaneous reactions are usually stupid and not helpful at all. We don’t have an answer but we want to raise consciousness concerning this important question. Stunning photos to highlight what we perceive to be the ‘tragedies’ of Nature. The seal pub is too weak, and dies. The gull with the broken wing feeds from its body, then it too soon dies. That is simply life in the wild, and we have much to learn from it. The thoughtful text rightly makes us question attaching human emotions to what we see. exactly, we want to make people question how they behave concerning nature and especially animals. It is a question as well of how we are able to accept the wild – and not only the wild outside but the wild within too. Thanks, dear Pete 🙂 🙂 Enjoy this nice winter weather. We are so happy having a light frost and a lot of clear skies. We appreciate being reblogged by you. Amazing photos, Hanne. This is indeed very thought provoking. A circle of life and the rhythm of nature. I reckon the abandoned pup was left to die and that the carcass was food for other animals. The young Fieldfare might have come from Norway or Iceland. The enormous gull is impressive, we have lots of them in Norway. What is right what is wrong? Who am I to tell what’s right, my feelings are steering my actions. I would help a puppy from a burning building. Many people in Norway spend great sums of money to rescue stray cats and dogs in other countries, import them and give them a good home here, well, that’s something I find very debatable. I have to rush, will get back to you, dear Fab Four! as we wrote before we are not sure what is right and what’s wrong. But we think we have to accept that the ratio of wilderness is different to the human ratio. Well, stray cats and dogs are a danger to wildlife. And concerning them we four feel quite differently: Klausbernd and Siri see domesticated cats and dogs as a perversity, a product to please and serve people like slaves, whereas Dina and Selma love especially dogs because Dina has grown up in a family of dog breeders. das Problem ist, dass wir es mit zwei verschiedenen Realitäten zu tun haben. Da ist jene der Wildnis and jene menschlicher Kultur. In der Wildnis, wie du schreibst, geht nichts verloren; von unserer Perspektive aus gesehen, hat alles seinen Sinn, auch der Tod. Und der Tod ist gerade etwas, das unsere Kultur zu verdrängen bemüht ist. Wofür ist unser Tod gut, außer dass die Erde nicht noch mehr überbevölkert wird? es ist ein verbreitetes Missverständnis von Darwin, dass er als Gesetz der Natur das Überleben des Stärkeren beschrieb. Keineswegs meinte dies Darwin, du findest das auch nicht in “The Origin of Species” und Darwin hat sich zeitlebens gegen diese Interpretation gewehrt. Die Idee des Überlebens des Stärkeren stammt von Spencer und nachfolgenden Sozialdarwinisten. Darwin sieht das Überleben als Funktion der Umweltanpassung an und sieht das genetisch und keineswegs unter sozialen Aspekt. Darwins Theorie schließt ja keineswegs die gegenseitige Hilfe in der Natur aus, die der Anarchist Kropotkin in den Mittelpunkt seiner Insektenstudien während seiner Verbannung in Sibirien stellt. Einer der Darwins Theorien sogleich verstanden hat, war Alexander von Humboldt, der ja als Humanist bekannt war. Dadurch dass Darwin wie Humboldt nicht christlich war, prägen keine naturfeindlichen und machtgeprägten Ansätzen deren Theorien. Übrigens was du über die weite Vernetzung der Natur schreibst, war exakt der Standpunkt Humboldts, der den Begriff der wechselseiten Vernetzung der Natur als erster Forscher vertrat. Oh, wie beneiden wir dich für den tiefen Winter. Wir wohnten vor vielen, vielen Jahren in Finnisch Lappland, wo wir es liebten, meterhohen Schnee für Monate bei glasklarer Luft von fast immer unter minus 20 Grad C zu haben. Wir vermissen das hier sehr. Deswegen fahren wir manchmal in die Arktis. Cruelty does not exist in nature. The things humans do to each other are CRUEL. Thought provoking post with beautiful photography. thank you very much! We thought a lot about it especially after Dina’s job as a Seal Warden. in a way, death is a part of life. It’s people who have their problems with death and try to repress death. I have often repeated my comment that humans do not fit into Nature. Survival of the fittest is natural for the flora and fauna of this planet, but humans tend to protect the weak and sacrifice the best. The food chain has a natural balance, but man, not fitting in, puts himself. in the middle because we think so highly of ourselves. It hurts to see some helpless animal slaughtered by a higher animal, but I remind myself that that is how it must be. Good to see you again, my dear friends. Have a wonderful weekend! you are absolutely right! Thanks for explaining the difference between the human world and nature that clearly. There is this paradox we humans are a part of nature and at the same time, the human kingdom and the animal kingdom, as well as the plant kingdom, are clearly separated as two different realms following different ratios. Very wisely expressed and portrayed, Klausbernd, Dina and fayries. During Dina’s job as Seal Warden, we talked a lot of these questions. A very thoughtful post. I believe we should leave nature to look after itself, hard though this may be at times. I assume the mother seal left her offspring to die because she knew it wouldn’t survive and although it seems cruel that it became a meal for a gull, that is the cycle of life. Having said that, as humans we should not suppress our natural feelings of compassion and to attempt to revive this seal pup would not have brought the universe to a close. It’s a question of balance and how one can cope. If it is too painful to leave something to die in pain, then help – even if it means killing it yourself – otherwise walk away and leave nature to take its course. we agree with you. It is an individual decision how to react. Whatever this decision will be it surely will be wiser if we reflected about it before. In dem empfehlenswerten Buch “Wenn nicht jetzt, wann dann” von Prof. Harald Lesch las ich, dass sich unsere im Grunde genommen naturfremde Einstellung dann ändern würde, wenn wir endlich begreifen würden, dass es eine Mitwelt und keine Umwelt ist. Der Begriff Umwelt führt unweigerlich eine Distanz herbei, so als würde es sich bei der Natur, die uns umgibt, um eine Theaterkulisse handeln, die wir aus geziemender Entfernung im Zuschauerraum wahr nehmen würden, und nicht als etwas, das uns unmittelbar betrifft, uns in jeder Sekunde unseres Lebens umgibt und uns beeinflusst. hmmm, darüber müssen wir erst einmal nachdenken. Alexander von Humboldt prägte ja als erster den Begriff des Netzwerkes der Natur, das er als Umwelt bezeichnete. In dieses Netzwerk, also in diese Umwelt, ist doch der Mensch einbezogen. Das war Humboldt und seinen Nachfolgern wie z.B. Muir bis zu dem heutigen wissenschaftlich ausgerichteten Ökologen wichtig. Theaterkulisse ist keine Umwelt, das greift bereits Goethe in seinem alchemistischen Roman “Die Wahlverwandtschaften” an. Dort richtet er sich gegen die englischen Landschaftsarchitekten wie William Kent, Capability Brown und Repton, die in der Tat ihre Landschaftsumgestaltungen gemäß Theaterkulissen vornahmen. Sie sprachen allerdings nicht von Umwelt. Sie gingen auf Palladio zurück, der die Landschaft nicht als Umwelt sah, sondern als Kunstwerk. Wir finden den Begriff “Mitwelt” als unnötig und ‘superficial’ da, wie gesagt, im Begriff der Umwelt das Humboldtsche Netz der Natur mitgedacht ist, das die menschliche Kultur einschließt. Linguistisch gesehen, ist mit dem Begriff ‘Mitwelt’ nichts gewonnen, denn was mit-ist, ist anders, sonst müsste man ja nicht ‘mit’ sagen. In Leschs Begriff ist die Trennung, die ja AUCH zweifelsfrei vorhanden ist, deutlicher betont als im Begriff ‘Umwelt’. Allerdings müssen wir sagen, dass wir Leschs Buch nicht gelesen haben (wir halten Lesch für einen Schwätzer, kennen ihn aber nur vom TV), wir uns aber ausgiebig mit Humboldt, Darwin und deren Nachfolger und den engl. Landschaftsarchitekten beschäftigen. This brings to mind, a comment made by an acquaintance that had just seen a hawk kill a cardinal! I love cardinals, but also love to watch hawks! The hawks have to live as well, so nature does take care of itself! Thanks for the post! Thanks! We are expecting our first big snow storm for the year!! We remember big snowstorms every year when we lived in Montreal. We loved the day after when people went skiing around. The Romantics liked nature’s rage (to create a dark atmosphere). We hope you can enjoy the snowstorm. Oh dear, good luck! Be careful. We hope your mother will get better soon. Thanks! Lots of shoveling this morning to clear sidewalk! The city crew has done a great job of clearing the snow on the streets. Thanks for the well wishes for my mother. She slept a lot last evening, so I am not sure what that means, besides that she is tired! ?!? Beautiful photos and writings. As we travel the states we see mans interference with nature in many negative and many positive ways. Discernment is key however that isn’t always applied especially when greed enters the equation. I like how you said “a bit of assistance seems fair enough to me.”… that’s discernment. The question is, how much can we survey the consequences of our doing. Is assistance real assistance in the network of nature? Your question is so true! The consequences are not immediately revealed. Be safe! As always, there is a lot of food for thought in your post today. Those of us who think nature to be cruel must look at themselves and see if any appropriate corrections of their own actions need to be made before hypocritically criticizing the morally neutral laws of nature. We human beings are an integral part of nature and yet driving by greed and desire for control we destroy the very thing we depend on. That is what I would call cruelty. Thank you for your thought provoking post, Klausbernd and Hanne! A psychoanalyst would say that those people who think that nature/wilderness is cruel should have a look at their own inner wilderness and cruelty. I believe that humans react to nature with immediacy, not with long term perspective. Each animal (and plant) evolved over eons to become the best competitor in its own environment. When we interfere in short term, we are interposing our own selection criteria over natures’. The consequences could be devastating over the next several millennia. Best to leave nature to figure out which animals survive and which don’t. The ones that survive are best suited to their environment. this is what we think as well. The ratio of nature coined by evolution isn’t our ratio as humans. You are right, our actions are based on short term thinking and immediate emotional reaction. Thanks for making the difference between short and long term acting so clear. You skillfully shares a dilemma that haunts many of his from childhood to our graves. This leads me to think of how much we has negatively impacted our lands. Here in the eastern USA, wrong, short-sighted thinking has lost us the timber wolf, bear, cougar, vultures, and thousands of species of birds, snakes, lizards, frogs and on and on. Take a walk in a northeastern USA large city park, and you find that as much as 70% of the botany that you see is alien to the USA. Your discussion is critical though, for those who come and read here, include many who do have positive, long-term impact. Nicely done. Most people find it difficult to be objective and neutral. Over thinking isn’t always accurate as it often obscures what is real with shades of emotion or not related information. Perhaps comes from lives spent in box shelters with glass between inside and the natural world outside. Most people don’t take the effort to inform themselves and think about these complicated interacting networks of nature. There is a psychological problem involved as well. Real nature is wilderness but most of the people are afraid of the wildness outside and within. well done and excellent thinking, Siri and Selma! The idyllic view of nature is clearly false. And – contrary to what is often thought to be the case, animals living in the wild are subject to an enormous variety of threats to their well-being. They are usually injured, starved or dehydrated. They must endure extreme weather conditions and cope with psychological stress, mainly due to fear of predation. They also experience excruciating deaths at the claws of predators, are devoured by parasites, and debilitated or killed by disease. Moreover, this does not happen only to a few. The majority of wild animals follow a reproductive strategy (r-selection) that consists in increasing the population’s fitness through the maximization of the number of offspring. The outcome of this is an extremely low survival rate. Most of the animals that come into existence do not survive to adulthood and have gruesome, short lives. This implies that most wild animals experience more suffering than positive well-being in their lives. Hence, on aggregate, suffering is largely predominant over well-being. This is something we have to accept. There was an incident in Norway where a man rescued a duck trapped under the ice on the surface of a lake. Everyone is celebrating the intervention as a form of heroism. But wasn’t intervening in order to help the duck precisely what he ought to do – or not?? In animal ethics, the idea that we may have reasons not only to refrain from harming animals but also to help them is not particularly widespread. Of course, exceptions can be found regarding companion animals. Most people agree that failing to assist them would be wrong if we could otherwise help them. But what about all other animals in need, shouldn’t we also help them? Where do you start and where do you and? This morning a student of mine wore a sweater with animals and a logo; “in a world where you can be anything, be kind”. There’s was no time for a discussion, but it’d be a good topic for one; what exactly does “being kind” in this context mean? that the survival ratio of most animals is low, except they are on top of the food chain, helps to get a better and better adaption to their surroundings. The species becomes more healthy meaning better adapted. We don’t know if we can speak of suffering when we see a low survival rate. ‘Suffering’ like ‘cruelty’ are notions coined by the human standpoint, seen from the ratio of our world. But can one apply these concepts to the ratio of evolution? We doubt it. We wouldn’t like it the other way round that the ration of evolution would be projected on our lives. Darwin always contended against Spencer that f.e. his theory of evolution can’t be applied to the social and political world, it’s biological only. Yes, yes! While there is sometimes—but not always—compassion within species, it is rarer between species. Simply put, it is tough for the various creatures to make a living. I have long thought that of the various animals, we humans have the most choice when it comes to the way we live and eat. And because of this, we should choose compassion whenever we can. there is survival of the fittest, meaning the best-adapted animals to their surroundings, what includes mutual help f.e. as Kropotkin found it among ants. This mutual help can well be a strategy of a better adaption but we wouldn’t use the notion ‘compassion’. Compassion is typical human, a notion based on ethical and religious concepts. We humans should be compassionate what Buddhism stressed very much. Actually, we would say being compassionate is the best strategy for our surviving well. But being compassionate is not enough if we deal with nature, we have to be compassionate in an intelligent way seeing long term effects of our actions. Very wise & informative insight, dear Klaus. It reminds of us the necessity of being balanced, as Light & Darkness are two sides of the coin named life and we must learn to comprehend & to accept their interconnection. Life and nature are much more complicated than to be grasped it with a one-dimensional mind and explanation. It’s one of the effects of the media that people quite often expect an easy answer. But we all experience often that the real answers are a paradox. The Danish physicist Nils Bohr once explained that something is true only if its opposite is true as well. And this brings us back to our blog: We suppose that we shouldn’t interfere with nature and at the same time we should act compassionately towards nature. Or concerning your commentary: We need both light and darkness and this is a projection of our inner life living of the tension of light and darkness. This idea you find in the Tantric teaching of Hinduism and Buddhism as well as in Nietzsche’s philosophy. It was Christianity who preached that we have to subjugate nature and started to promote that we have to decide for either heaven or hell. That was challenging the pagan philosophy like the Celtic one. Agree, dear Claus. However, do you know that before the French revolution the Christian mentality had a strong Pagan basis? That’s a part of my research I’m dealing with at the moment. People kept the core of their Pagan memory & joined it with their Christian belief. It’s a bit complicated for us. After the French Revolution the new power did everything possible to erase this memory. In fact, what you write about we can refer to the 19th century when even the Bibile was cruelly corrected by liberals. To be honest I dislike monotoistic religions, as they are lack of depth in many concepts. In brief, I would quote my favourite Serbian writer Milorad Pavic: “What in October seems to be March is only January”…It fits for natural laws too…:-) Thanks! A wonderful time for you too! actually, I mistrust any religion and especially the monotheistic ones as you do. Christianity is per se very much influenced by pagan ideas. There is hardly any Christian symbolism that hasn’t been its roots in paganism. One of the most influential books for symbolism was the ‘Physiologus’ which is full of non-Christian ideas about symbolism. To my knowledge, most of the pagan ideas were erased during the age of enlightenment when the burning of the witches took place. During the middle ages, feminity was idealised as to be seen in minnesang, the courtly love poetry f.e. In this time a strong connection between women and nature was seen. The age of enlightenment wanted to get rid of this ‘irrational’ thinking and replace it with (male) rationality. That was a dialectical process (like Hegel saw the moves of the zeitgeist) from thinking based on nature to abstract thinking based on logical processes. Indeed, the brilliant idea of enlightenment, as in the writings of Rousseau, d’Alambert, Kant and Hegel, was deformed. Unfortunately, any idea has to suffer from reality’s kiss? I can cope with nature and what appears cure at times but the survival of the fitist all must eat and feed their young. What I can not cope very well with is the effects man has on nature, plastics netting oil on beaches rubbish fly tipping in country lanes. I recall enjoying whatching a small vole in the grass. I also enjoyed observing a Kestrel drop out of the sky and carry the vole off. we agree what man does to nature is horrible, but what nature does to nature is just nature, all right, isn’t it? Concur — horrible at times but natural. Sad at times and hard to see most of the time the reality’s are not observed. Da hast du wohl Recht, liebe Susanne. Die Ranger ragieren hier in gleicher Weise, und wir können das gut verstehen, wenn es auch gegen unsere Gefühle geht. I have to agree about the natural occurrence of tragedy. It is hard at times but necessary for the strength of the species. exactly! Nature has its own ratio. This is one of those posts in which I can’t decide which I like better, between your writing and your photography. It’s difficult to not think of “cruelty” when witnessing a pup being abandoned, or a gull with a broken wing scampering about in a desperate attempt to live one more day. I can’t help empathizing with the despair these creatures must feel, or their suffering! And yet … something must be destroyed for something else to be created. This is the way of nature, and you’ve captured it beautifully. A thought provoking piece, enhanced by your photography. Thanks. I can’t help but believe that nature is neither cruel nor kind. It simply is. And in our time, we will thrive and perish like every other living thing. Indeed, nature is neither cruel nor kind. Nature is just nature beyond any morals. Klausbernd, that is really thought provoking…. I don’t believe in wrong or right, neither that nature is cruel. I believe more that it is what we make in our mind, so therefore it is indeed a personal decision…. from my point of view as a Buddhist, it is very inclined with our own fear of suffering and death….there fore we act on it , how ever how much our fear is prominent. Of course as a kind human , our first reaction is to interfere and help. Again, there is no wrong or right. we agree, there is no wrong or right. Seen from a psychoanalytical point of view (which is often like the Buddhist one) our reaction to the wild nature is a reflection of our relationship to our innere nature. To have a reasonable relationship with nature starts with having a reasonable relationship to our inner self. Thank you Klausbernd for your wonderful response, I totally agree with your insight. Have a wonderful Sunday and week. we have a wonderful Sunday right now: a mild frost and eveything is glittering like being enchanted. Now we are hoping for some snow. Thank you dear Klausbernd, enjoy the glittering of being enchanted. Wish you a joyful week. “nature is red in tooth and claw…” In my experience, when an animal abandons its young, there is something irreparably wrong with the baby. Yet sometimes there are accidents or bad situations. A lot of crow families adopted adolescent crows from other families during the initial West Nile Virus outbreak, so different animals also exhibit compassion. I think people need to understand nature, though, or their own capacities, before intervening. We absolutely agree with you. By the way, in Darwin’s definition of survival of the fittest compassion can well be a strategy for adaption on the surroundings. This is such a wonderful post, addressing something about nature, that we as humans can’t always understand.I have the privilege to be in the wilderness of Africa, regularly and have witnessed terrible scenes. But it has made me understand what nature and survival is all about. Well, you are the one who knows best what we are writing about. The reality of nature is an important piece we need to remember. The cycle of life beautifully explained. the reality of nature is often not accepted. We can see it here how the tourists react. For them, nature is seen as the social reality of humans. Oh, das Thema liebe ich! Da wird alles (Hirn, Neuronen..) angekurbelt! Leider muss/darf ich jetzt erst mit Sophie, Tochter von Beatrice, Urenkelin von Renate, Engelfrau aus Sizilien) ein Tänzchen üben. Renate feiert bald ihre Goldene Hochzeit. Sophie wird zu Declan “An Angel” tanzen. Haltet das Thema warm…spannend. Danke, liebe Pia, für deinen Kommentar. Nun warten wir gespannt, was du noch zu sagen hast. Was Masterchen noch zu sagen hat und hatte, bringt er in en Kommentaren. Aber jetzt werden für heute keine Kommentare mehr beantwortet, sondern es geht hinaus in die sonnig winterliche Natur. Schönen Sonntag morgen, guten Tag! Ich lese erst mal in Ruhe alle anderen Kommen tare…. Mo men t an tue ich mir schwer mit den W or ten…. Scheinbar solllte man sich im Leben mit dem Sterben auseinander oder eher zusammen setzen…. Gut, dass du das nochmal mit Darwin genauer erklärt hast. Armer Kerl, so missverstanden zu werden…. Werde auch gleich noch die “Zerfallszeiten” von Porzellan googeln. Und höre Elvis: Don´t be cruel…brauche Schwung, der Mond macht gerade etwas träge, oder? Müssen wir die Weißen Löwen retten, ach du liebe Güte?! Keine Handtücher mehr im Regal…tschüühüß…. Meisenalarm, der Boden ist harsch gefroren, habe mal Sonneblumenkerne ins Vogelhäuschen geschüttet. An den Meisenkugeln ist der Nachteil, dass die Meisen sich im Netz verwickeln können, nicht wahr? was für ein schöner Morgen, Sonnenschein und Frost. Alles glitzert wie verzaubert. Darwin wurde in der Tat nicht nur missverstanden, sondern auch von vielen, speziell den Sozialdarwinisten, politisch ausgenutzt. Da ging’s ihm ähnlich wie Nietzsche. Das Problem ist, dass viele meinen, eine Meinung zu Darwin zu haben, ohne seine Schriften gelesen zu haben. Wir haben unsere Meisenknödel hinter einem Metallgitter in einem Metallrahmen für Meisenknödel. Da ist dann keine Gefahr. It may seem cruel to humans, but it’s just the way of nature and other species. Hands off, people. Cruelty implies intentionality, which is different from instinct. Humans can be cruel; nature copes with what comes as best it can, creature and plant life alike. There are times when intervention is appropriate. A bird tangled in fishing line, or a squirrel hit by a car and left with a broken leg come to mind. But more often than not, our impulse to be “fixers” rather than empathetic observers causes problems. Learning how to be “in nature” without “controlling nature” is difficult. I live in an apartment which looks down on the primary fairway of a marina. Each spring, mallard mothers and their babies appear. Then, the babies begin to disappear, one by one. Some are plucked from the surface by gulls; some are dragged down by gar fish from below. Sometimes, a duckling gets separated from the group, and its pathetic calling echoes among the buildings until it doesn’t. It took me some time to find a way to cope with all this, but I finally did — by understanding that ducks know far better than I how to be ducks, and the chain of life depends on humans not breaking the links. WOW! That is very well said! Thank you very much for this commentary 🙂 🙂 That is how we feel as well. we are sure that humankind will find its way of survival as nature does. But we would doubt if we would like living in such a solution for survival. Yes, best to leave Mother Nature to act out its natural cycle of renewal. While it’s sad to see abandoned pups or bird chicks, we, as humans have to learn to leave all alone. Beautiful images as always, dear Dina. 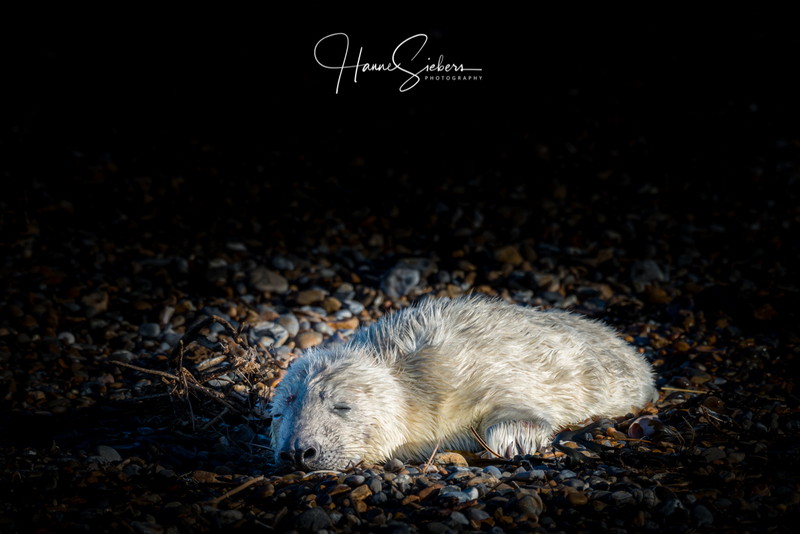 I find your nature photography both stunning in its ability to bring us right into the landscape and lives of wildlife, and, beautifully composed and processed. I always look forward to the new posts of yourself and Klausbernd. thank you so much for your kind commentary we really appreciate 🙂 🙂 Dina is VERY happy about what you wrote about her photography. One could say, nature is wiser than humans concerning its own biological ratio. Great pictures and post. It is true we think about theses poor dead creatures but it is nature and it’s cycle. We do interfere too much, but also in a bad way so we need to try to safe near extinct species. the problem is that we humans caused such an imbalance. There is nothing really natural any more. So one could say we have to interfere. This is one side of the coin, on the other side, our interference is seen from our point of view which is often not compatible with nature’s wisdom and cycles. We can only try to find a way in between conservation and not to interfere. In the end, it’s a subjective decision. I like to think one can take a neutral stance and avoid those problematic concepts without being alienated from nature. That isn’t to say many people are not alienated from nature – they are – but avoiding some of those value judgements doesn’t mean being separate from nature, not at all. In fact, it can mean the opposite. Great job presenting this dilemma, both your pictures and words. Excellent!! We presented this post because we feel this dilemma in ourselves. Reading how our visitors think about this problem helped us in getting clearer. I like the phrase ‘neutral spectators’. That works because we really don’t understand the big picture, even if we think we do. Good post. we cannot really understand this complicated network of nature. We are not able to foresee the long-term consequences if we interfere. I agree that it is best not to interfere with nature, but I will never cease to be sad when I watch a raptor catch a pigeon at our bird feeder, or when I see an injured animal that I know will die. Nature might not be intentionally “cruel,” but this does not mean that I can’t mourn for all the losses that occur every minute. we agree with you. We feel sad as well for what we see as cruelty in nature and there is nothing wrong with it as long as we don’t interfere. In nature nothing is wasted, and even death fulfils a purpose. thank you very much. That is the point. Everything in nature fulfils a purpose we often can see or we don’t want to see. Tja, ich hatte auf den Kanaren eine offenbar kranke Wespe auf dem Boden gesehen. Sie stand etwas schwankend auf ihren sehr langen Beinen. Mir war klar, die wird vermutlich von Mittouristen zertreten werden. 3 Stunden später waren nur noch minimale Reste übrig – Ameisen hatten es längst entsorgt und am Abend war nix mehr zu sehen. ja, so geht’s in der Natur. Im Gegensatz zur Menschenwelt wird nichts verschwendet und alles in einem Zyklus eingebunden. Indeed, nature knows best what’s best to it. We are not quite sure if ‘to know’ is the right verb. Isn’t it rather an instinctively doing following the mechanism of evolution? The aesthetics of death is always a meditation about life, isn’t it? You have provoked plenty of interesting insights with this post! I reckoned the rescued penguins, in difficulties through pure mischance rather than in any natural ‘balance of nature’ or Tennysonian ‘nature red in tooth and claw’ sense, were rightly helped. No other species – eg a predator – was disadvantaged in those particular circumstances. we agree with you concerning the saving of the penguins. You quoted Tennyson like some other visitors here. He was quite influenced by the romantic movement. The romantic view on nature would be an interesting topic for a post. Greeting from the North Norfolk coast where we have great weather, around freezing (unfortunately no snow), no wind and sunshine. Chaplin is right, just stay in the house. It’s safe and warm in there. Wir hier wünschen Dina ein wunderschönes neues Lebensjahr und alles Liebe und Gute zum Geburtstag. Jeder Tag ist ja ein Geschenk, findet Ihr nicht?! Wir waren gestern Abend megalecker essen und haben einen rundum feinen Geburtstag verbracht. thanks for making us aware of this problem of getting not enough vitamin D because we shouldn’t expose our skin to the sun. On one hand, we think humans shouldn’t interfere, on the other hand, we see that we that much interfered that we have to protect nature now – actually that’s a kind of interfering again. why should nature get rid of people or why should people get rid of nature? They need each other and have to learn to adapt to each other. We suppose radical solutions don’t help. Of course, as two human beings, Dina and Masterchen, and two fine fairies we are not at all interested that nature gets rid of us. This is, of course, the best solution, dear Klausbernd, but I am not very positive that man will be able to achieve this goal, because money seems to him more important than making cuts in his need. I suppose that in the long run conservation will pay off. With consumerism, well, that’s another problem. There are statistics saying that young people being now in their teens don’t consume as much as the generation before. There seems to be a split in this group. Some love shopping and often special labels and others protest against this by cutting down on their consume, not the newest gadgets or the latest fashion anymore. We have to get to a solution how to save that bit of nature we have left for its and our survival. We are sitting in the same boat called earth. Hi my dear Fab 4 of Cley! Such sad AND fascinating photos. Makes one really think. The nature IS nature even when it seems cruel. My thoughts went to the poor refugees who die in the oceans and deserts and the world looks away!! My very best regards to you my dear friends who are a great example to all of us. Indeed, there is a parallel between our problem with nature 🌲 🌳 🐳 🐝 🦅 and with the refugees. 👱🏾‍♂️👩🏿‍🦰 The western world 🌏 caused these problems but now doesn’t know how to deal with them. Concerning nature, we think that conservation and a reduction of consumerism is the way. Nature is like that isn’t it? And yet I couldn’t help feeling sorry for them both ..
you are right, nature is like that and there is nothing wrong with it. This morning I have to think about the picture of an elephant, you might know this picture?! Everybody claims to know what it´s all about they hold in hands. Having so many clever educated young “searchers” arround me, I asked them to find out the answer to a question: Please, could you find out if the claim “Fractality causes gravity” could be true?! I told them, I need the info for a dance project. Interessant war auch das Mühlespiel, as a child, what is the English word for Zwickmühle? ‘Zwickmühle’ is predicament or dilemma in English. To see the whole in complex living systems is not that easy but to foresee the effects of changes in such systems is even harder. It wasn’t before Alexander von Humboldt’s writings that we got an idea about the complexity of nature. That’s about 200 years ago, a relatively short timespan. If you give into Google “does fractality causes gravity” you find a lot of answers and youtube films to this theoretical problem of modern physics. Wishing you a great Sunday. We started fasting yesterday and spend cosy days inside having a sauna nearly every day, reading a lot and fill our house with beautiful scents. Liebe Hanne, lieber Klausbernd, zuerst einmal herzlichen Dank für die berührenden Bilder und ebensolchen Text. Hier im Schwarzwald ist die Diskussion um den Wollf aufs heißeste entbrannt. Ich bin bei diesem Thema selbst sehr zwiespätig. Der Schwarzwald ist eine vom Menschen extrem geprägte Region, die in der Art und Weise ohne die bäuerliche Zunft gar nicht existieren würde. Hierbei stellt sich die Frage, macht es Sinn hier einTier wieder einwandern zuu lassen, das schon seit mehr als hundert Jahren aus dem Schwarzwald verdrängt wurde? Spontan würde ich meinen ja, etwas mehr ürsprüngliche Natur schadet ja nicht. Gleichzeitg kann ich auch die Anliegen, insbesondere der Schafzüchter nachvollziehen, deren Tiere bereits jetzt schon von Wölfen angegriffen werden. Gleichzeitg schaltet die Landwirtschaft in der Hochschwarzwaldregion immer mehr auf Bio um, was ich als positives Zeichen sehe, dass Natur und bäuerliche Wirtschaft sehr wohl Hand in Hand gehen können. – Ich glaube auch nicht, dass die Natur wirklich grausam ist. Aber was kann man heute noch als (ursprüngliche) Natur bezeichnen? Letztenbdlich sind wir Menschen wohl am grausamsten, ohne dass dies uns zumeist bewusst ist. Hier im Schwarzwaöd gibt es inzwischen auch größere Naturreservate, was ich sehr begrüße. Übrigens auf meinen Browsern wird Eure Seite nciht richtig angezeigt, sprich das oberste Bild erscheint nicht. Kann aber auch an meinem PC liegen??? Euch ganz liebe Grüße! Man muss wohl schon in die Arktis oder nach Antarktika reisen, um einen Hauch von unberührter Natur mitzubekommen oder zu manchen Stellen im Hochgebirge. Auch hier ist die Landschaft vom Menschen stark geprägt. Der Verlauf der Kanäle und Trockenlegung von Land sind nur zwei Beispiele, wie auch hier der Mensch eingegriffen hat, obwohl es auf den ersten Blick nicht so erscheint. Das ist typisch für die englische Landschaft, dass in einer Weise in die Natur eingegriffen wurde, so dass die Landschaft anmutig natürlich wirkt. Auch hier sind es die Bauern, die ihr Vieh auf den Marschen grasen lassen, was wieder einigen der Seevögel und bes. den Watvögeln zugute kommt. Außerdem wird das Ried geerntet, das sonst allmählich die Wasserläufe zuwuchern und verlanden lassen würde. Wir haben auch keine dezidierte Meinung dazu, ob und wenn wie weit der Mensch in die (Un)Natur eingreifen soll. Es sollte ja für beide Platz sein, für Mensch und Natur. Mit den Wölfen im Schwarzwald, spontan finden wir das ‘over the top’. Tiere, die seit so langer Zeit nicht mehr in der entsprechenden Landschaft lebten, sollten nur dann wieder angesiedelt werden, wenn es für das ökologische Gleichgewicht unbedingt nötig ist, andererseits ist das reine Naturromantik, ein Hirngespinst von naturfernen Großstädtern. Klar brauchen wir mehr noch einigermaßen intakte Natur, und wir müssen jene Biotope schützen, die noch ziemlich naturnah sind. Ich glaube auch, dass Landwirtschaft und Naturschutz bestens Hand in Hand gehen können. Außerdem zeigt sich, dass ein regulierter Tourisms und Naturschutz sich auch gut ergänzen können. Im Grunde ist dies das, was wir hier machen. Stimmt, auch bei mir auf dem iMac erscheint das oberste Bild nicht, was mir noch gar nicht aufgefallen war. Dina wird das mit Selmas Hilfe richten. Wir sind gerade beim Fasten – nicht nur, dass wir außer eine Scheibe Knäckebrot und ein wenig Gemüsesuppe nichts pro Tag essen, sondern wir fasten auch inbezug auf soziale Medien, wir trinken kein Alkohol und Masterchen raucht nicht. Wir machen das ja jedes Jahr um diese Zeit und bis jetzt, nach drei Tagen, sind wir bestens drauf. Danke nochmals, lieber Konrad, das haben wir doch glatt vergessen. Nun ist dieses erste Bild da – hurrah! Mach’s gut und hab’s fein! Ja, nach meinem Kommentar lief etwas schief, man muss jetzt auf Verdacht in den grauen Nebel klicken um den Blogbeitrag zu öffnen. Vielleicht wollt ihr meinen englischen Kommentar löschen? Sauna super!!! Und dieses Zeolith-Zeug!!! wir haben weder etwas gegen deinen Kommentar noch gegen dein Englisch. Alles fein! Bei uns wird alles bestens dargestellt, zumindest ist das auf unseren iMacs so. Also don’t worry und überhaupt in der Hölle befinden sich eh die viel interessanteren Leute. Welche Strafe, unter den konservativen und beschränkten Langweilern im Himmel leben zu müssen. Gedanken als Vögel vorstellen, die landen und wieder weg fliegen, wenn man sie lässt. An manchen Tagen empfinde ich die “Natur” wie eine große Metapher, sichtbar gemachte innere Welten, damit wir´s besser begreifen können. Heute saß z.B. eine Krähe (Rabe, rießig!) oben am Sendemast auf dem Hausdach. Den Mast hatte ich in dieser Form noch nicht wahrgenommen, ob er neu ist, ob ich damit einverstanden war? Jedenfalls krähte dieser schwarze Vogel ziemlich laut und deutlich!!! Danke für so viel Bloggen und Bereicherung zwischen meinen Ohren! Neben dem Genuss der wunderschönen Fotos natürlich! der Kontakt real oder auch in Gedanken mit der Natur erweitert. Ich kann mich erinnern, als ich vor vielen, vielen Jahren in Findhorn wohnte und Fahrer für einen berühmten australischen Fotografen war. Wir kamen an eine Stelle in Nordwest-Schottland. Dort in der Natur wurde ich plötzlich ganz weit, mich erfüllte ein Glücksgefühl, und ich dachte staunend, das alles bist du. Ein ähnliches Erlebnis hatte ich in der Arktis, etwa 300 sm vom Nordpol entfernt. Aber natürlich hatte ich diese Gefühle, da ich gelesen oder gehört habe, dass man solche Gefühle in der Natur haben kann. Klar, das Naturerlebnis bringt innere Welten zum Sprechen, die sich aber nur gemäß unseres Wissens mitteilen können. Oder sagen wir’s mal so: Unsere innere Welten sind durch unser Wissen strukturiert. wir haben gerade wunderschönes Winterwetter, alles ist weiß glitzernd. Bevor wir gleich ein kleines Stück ins Land fahren, um dort spazieren zu gehen und zu fotografieren, wollten wir dir doch noch schreiben, dass wir deinen Vergleich der Gedanken mit Vögel sehr schön finden. Wenn du bei Google > Gedanken sind wie Vögel < eingibst, findest du auch Bilder zu dieser Idee. Maybe we should prefer to learn from nature instead of judging its “cruelty”?! Denken ist Yoga fürs Gehirn. Wahrscheinlich ist alles, was wir wissen, von der Natur gelernt. Das war schon Leornardo da Vincis Ansicht, die noch heute gültig ist. Wir hatten einen supertollen Spaziergang nur eine Viertelstunde mit dem Auto entfernt von hier, den ich aber noch nicht kannte. Ich war verblüfft. Nature is Nature while…. are Humans human? We agree that nature is nature and natural as well 😉 Humans are humans but are they human – well, most of them try to, we suppose. Oh, es ist sicher so, dass das Sterben in die Welt gehört, sei es Mensch, oder Tier…der Lauf der Welt und doch wird mein Herz nicht müde, darüber zu weinen, wenn ein mir liebgewordenes Wesen aus dem Leben geht. Yin und Yang, ich glaube daran in meiner Welt. Dort gibt es das Weiss nur durch das Schwarz, das Helle nur durch die Dunkelheit und das, was ich als Mensch das “Gute” nenne, existiert nie ohne sein Gegenteil, das “Böse”. So mag ich eurem Masterchen nur sagen, in meiner Welt sind Mensch und Tier niemals getrennt, das “Gute” und das “Böse sind vereint und jenseits von Bewertung ist immer alles “gut”. Auch, wenn der Mensch in den Lauf der Natur eingreift, ein Seelöwenjunges “rettet”, ist es nur genau das, was geschehen will, was das Leben in diesem einzelnen Moment spielen will. Sonst wär es nicht und deshalb ist auch das Eingreifen immer “gut” und ein Teil der Natur. Ich würde jedes Junge retten, was ich verstoßen von dem Muttertier fände. Ich könnte es nicht “liegen lassen” und ich weiss, ich bin so, wie ich bin, genau “richtig” und gewollt in diesem großen Lebensspiel. ist wert, dass es zugrunde geht’. In diesen Sätzen von Mephisto hat Goethe viel Weisheit verpackt, finde ich. Ich glaube auch, dass Polaritäten Bewertungen simplifizieren und denke Gut und Böse bedingen einander. Auch Mensch und Tier bedingen einander und dennoch haben sich Mensch und Tier aus meiner Sicht ziemlich auseinander gelebt. Wir leben in unterschiedlichen und doch vereinten Welten. Zu dem Kegelrobben Jungen: der Ranger, der immerhin viel Erfahrung hat, machte deutlich, dass diese Junge nicht überleben werde und deswegen votierte er, dass man die Natur der Natur überlassen sollte – in diesem Fall. Das Junge war nicht mehr zu retten. Ja, das ist so. Mensch und Tier haben sich auseinander gelebt, sind aber dennoch beides Teil derselben Natur. So traurig von dem Robbenbaby zu lesen. Bleibt zu hoffen, dass es nicht leiden musste. Fabulous photos. It seems to me the only cruelty is dished out by man, and through that we interpret the actions of other species as cruel. It is just a projection of ourselves on situations we observe. You are totally right though, It is not ours to interfere in nature except where we as a species have already affected nature to the point where we must step in to protect a species. Darwin was correct, but he did not anticipate what a wholly destructive force man would become! ‘cruelty’ is a moral notion, a notion with a philosophical background in ethics. Those philosophical concepts only relate to humans. And, by the way, what’s cruel and what isn’t is determined by the winner. We might see nature as cruel, but nature and cruelty belong to two different categories that don’t fit together. We absolutely agree: It’s not ours to interfere in nature except on the level of conservation. Thank you very much for commenting 🙂 🙂 It’s very much appreciated. A dilemma for sure. I have often pondered this. Indeed, it is a dilemma. We think there isn’t an easy way out. Everyone has to decide in every different case how to act. But generally, we tend not to interfere in nature – except for conservation. Nature wastes nothing. We should all take a lesson from its rule book of life. An interesting set of natural behaviours leading to a question about our ‘human’ condition with regards to nature. Although I live in a suburban area I too get to see nature red in tooth and claw. A couple of years back I witnessed a Jay kill and eat a Sparrow in my garden. I was shocked! Not by the act itself but by the proximity to where I was sitting. Also by the fact that it was unexpected behaviour for a Jay to attack an adult bird rather than raiding a nest. And that it would risk injury by chasing the Sparrow into dense foliage where it could easily have broken its wing if it was unlucky. I guess it must have been very hungry! But I don’t know how many of my friends and neighbours see wildlife the same way – I spent a while explaining the ‘Seagull’ situation to one of my friends at the football club – the fact that there isn’t such a thing and how to identify the species in the flock that had gathered on the pitch. It’s clear that apart from those of us who take a serious interest, the closest that most people get to nature is the TV wow factor of David Attenborough documentaries. And whilst these are an excellent source of learning they all too often, in showing the struggles of life, lead to the assumption that death is a continuous every minute thing whereas, in truth, the predators struggle to make the kills needed to survive. This is why there are only a few when compared with the numbers of potential prey – every attempted catch carries the risk of injury or death and most end in failure. On a personal level, I don’t think I anthropomorphise nature – I’m more likely to endow machines with human characteristics than animals, especially trains, trucks and aeroplanes – you don’t want to hear some of the less polite words I’ve used to our old Cherokee when she was mucking me around! Thank you very for your interesting commentary. You are absolutely right, predators are most of the time unsuccessful getting a catch. But it seems to be a common human behaviour to see the situation from the victim’s point of view. We judge from the victim’s side against the aggressor. On a social level of human society, this makes sense but not on the level of animals. We see mostly animals hunting in the media because media want to produce drama, a thrill. Without it, nobody would watch it is the producer’s credo. I totally agree with you sentiment. There is no such thing in nature as cruel. Nature wouldn’t even exists if wasn’t for one’s death being the survival for another. Our tendency to anthropomorphosize nature detach us from nature. we absolutely agree we detach us from nature by anthropomorphizing. On the other hand, it’s hard not to do. Great photos for a poignant subject and I believe that nature should be left alone, but very hard to do when confronted with certain situations. You are so right. We are separated. I hear people (mainly my female friends and acquaintances) say I ‘hate’ this or that animal because they are surviving by eating another animal. When they see a crow eating another dead animal in the road or when watching a film and see a cheetah pursuing its prey. I say, “Well they have to feed themselves and their offspring too. Yet, they have no issue hiring a company to hiring pest control to eliminate mice, flies, spiders and other unwanted guests from their homes. Not realizing the effects those chemicals will have on their own biology. I’ve been reading many books on healthy forests and they way dead trees continue to feed and support young trees, the interconnection of the insects, animals and nature in their natural environment – finding it amazing. Agree! This is also the reason why we see so many trees being felled and the forest life destroyed without any concern. People who remain inside and see everything in nature have been cut off from their connection to Nature and Life itself. You photos are amazingly crips and colorful. Love and Light! Indeed, we are all more or less alienated from nature, meaning we are separated from nature. There is nature and there is us. And because of this separation it’s better not to interfere. We don’t have the wisdom’s final conclusion. We blog to widen our horizon and therefore we would love to hear your answer.